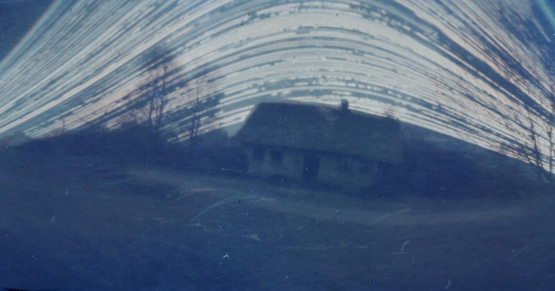 Solargraphy is a photographic art of capturing the sun’s path with a pinhole camera. And much time. A very long exposure …. weeks, months. I did it (together with my friend Gesine): I used a small black film box, a tiny laser drilled hole, a piece of photo paper, some wire to fix it … and 10 months. 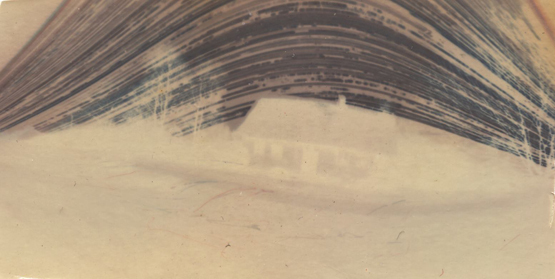 10 months is such a long time that the paper doesn’t need to be developed – it would become totally black – the negative images appears on the paper by itself because the altered chemical grains in the emulsion are going crazy with this long exposure time and start to „burn“ the paper!